The province's Ministry of Natural Resources and Forestry is once again reducing the number of moose tags available to hunters in an effort to curb drops in Ontario's moose populations. The province's Ministry of Natural Resources and Forestry (MNRF) is once again reducing the number of moose tags available to hunters in an effort to curb drops in Ontario's moose populations. However, a local hunting association says the ministry is taking the wrong approach, as it's working with incomplete data. 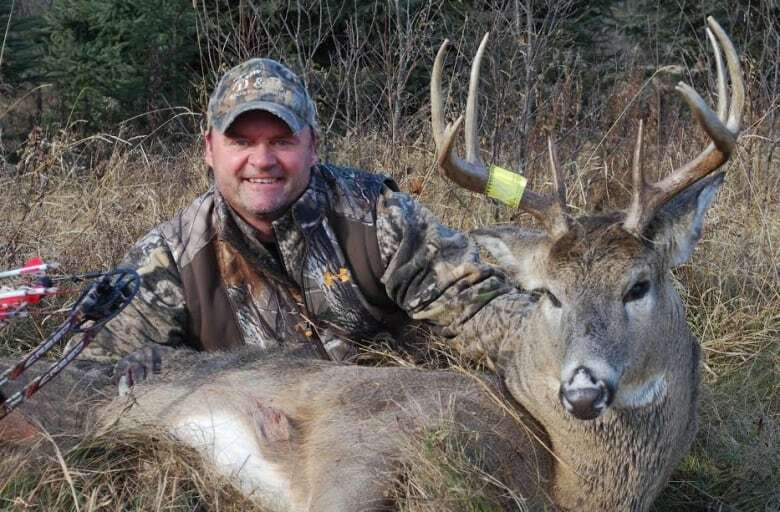 "Well, it's never a good thing when you see the moose population in decline," said John Kaplanis, executive director of the Northwestern Ontario Sportsmen's Alliance. "Certainly, that's the primary concern is the need for moose population." An MNRF representative told CBC that the reduction in moose tag quotas is the result of declining moose populations in some parts of Ontario. Kaplanis said the MNRF has cut back significantly on its efforts to actually count the number of moose in the province. "In lieu of ongoing data collection and monitoring of the population, it seems rather strange that the ministry would just automatically gravitate towards cutting adult validation tags," he said. Is it time to ban the hunt on moose calves? According to the MNRF's 2017 hunting regulations, there will be a total of 8,183 moose tags (bull, cow and calf combined) issued in Ontario this year for resident hunters using firearms. 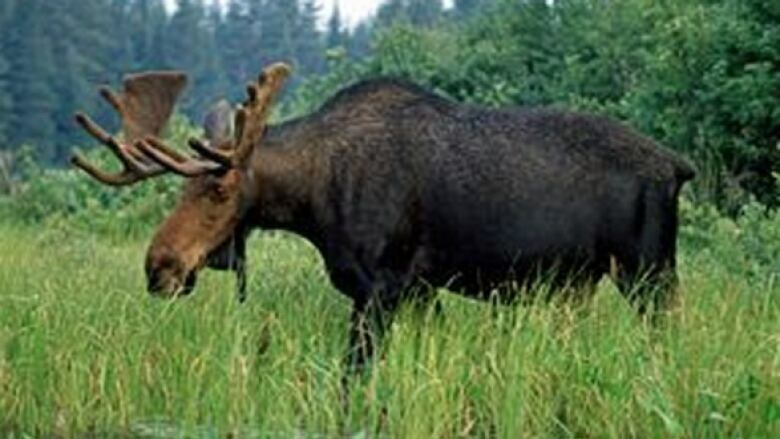 Of those, 5,263 will be issued in Northwestern Ontario (last year, there were 5.554 total moose gun tags issued for all Wildlife Management Units (WMUs) in Northwestern Ontario, an MNRF representative said). There will be 2,154 total moose tags issued to bow hunters in the province. WMU 13, which borders Thunder Bay, will have an allocation of 32 bull and 62 cow gun tags. That's down from 55 bull and 70 cow gun tags last year. There's some good news for bow hunters hoping to hunt in WMU 13 this year, though — the MNRF has increased the number of cow tags available in WMU 13 from 2016's total of 10, making 40 such tags available this year. Those looking to hunt a bull moose with a bow are in a different situation, however: there are three bow bull tags available for WMU 13 this year. That's down from five last year. Kaplanis noted that the MNRF has cut back on the number of aerial moose population surveys it runs. In addition, the postcard system — which asks hunters to mail back information about the moose harvest every season — is problematic, too, in terms of providing population data, Kaplanis said. "Due to recent years of cutting back on the adult validation tags, moose hunters have no faith in the system," he said. "The rate of return is very low." Kaplanis said the fewer moose tags the MNRF sells, the less money they have to fund programs like the moose aerial inventories. "We're just chasing our tail here," he said. "Not knowing what's going on on the ground with the moose population is just not good enough to go and say 'we're going to just take extra precautionary measures and cut further into adult validation tags for hunters.'"